The Brittany American Monument and Cemetery at St. James, France provides the final resting place for a Citadel Man. 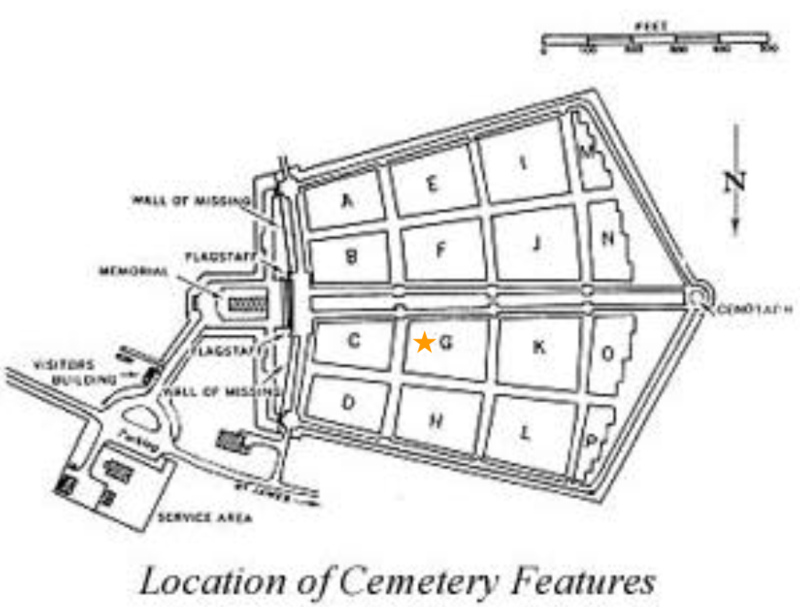 Gold stars indicate the general location of his grave. Download a memorial booklet for 1LT Ralph A. Hardee, a Citadel Man, interred in the Brittany American Cemetery here.